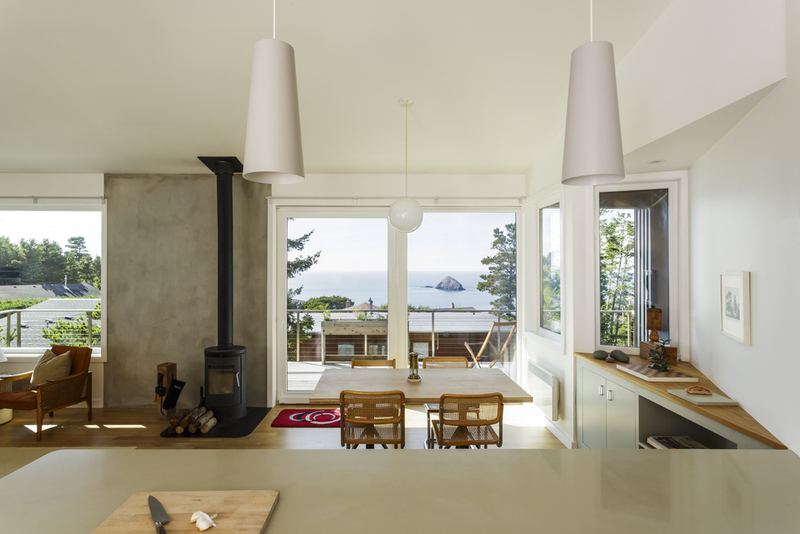 Located just 1000 feet from the Pacific Ocean, the Oceanside Beach House is a modern interpretation of the Oregon beach house. The wedge shaped form allows the house to nestle in to the high point of the triangular site, providing spectacular panoramic views of Three Arch Rocks and ocean beyond. 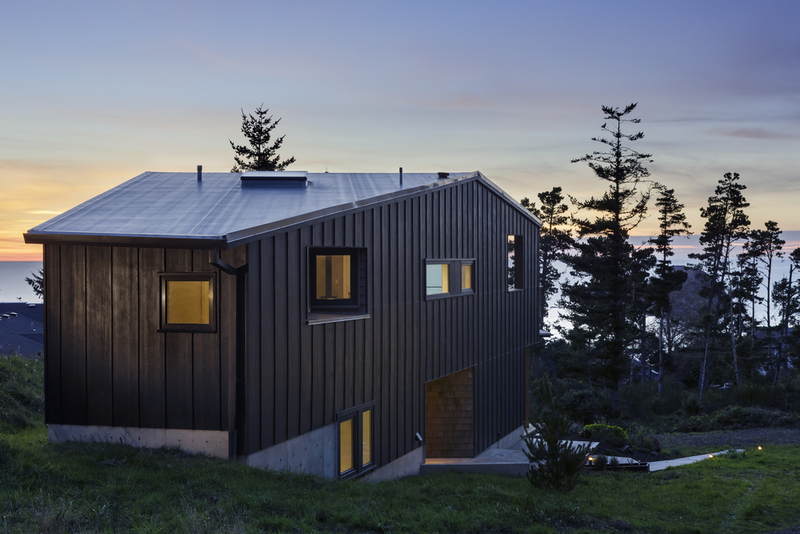 The splayed walls provide privacy and protection from the summer winds while maximizing the views to the ocean. 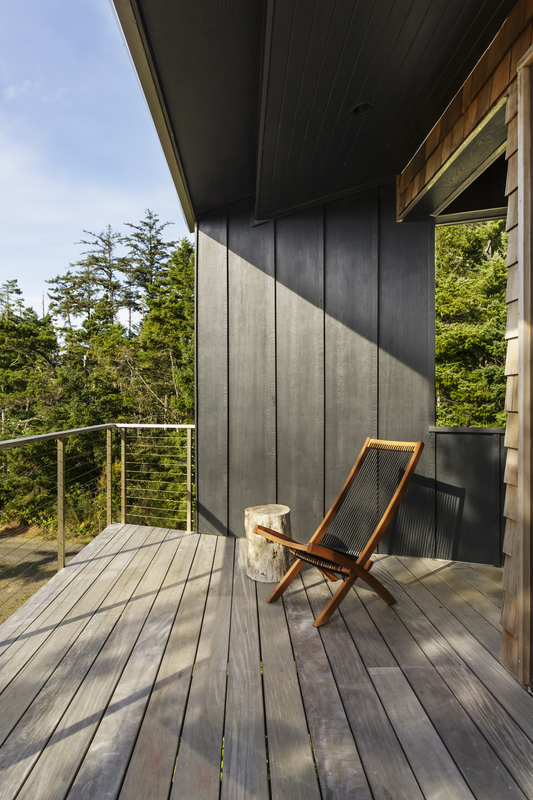 For durability, painted cement panels with cedar battens are the primary exterior cladding, while cedar shingles are used at the entry and decks. The interior features a gently sloping ceiling and carefully placed openings to maximize the views and track the path of the sun throughout the day.